Visiting Greenland on a polar expedition cruise is a great adventure. The glaciers, ice fields, fjords and ice-covered peaks are stunning. Visit settlements living in this polar wilderness and encounter some of the unique wildlife. Especially at the beginning of the Antarctic season there are still snow covered hills and mountains further inland. During voyages to the Antarctic we are offering hiking excursions with snowshoes. 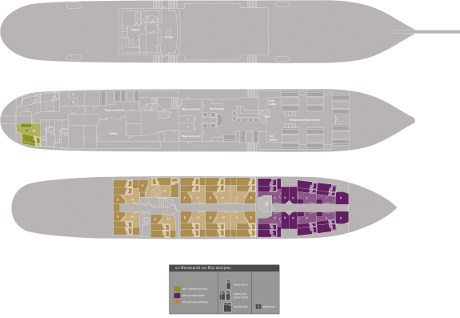 Flexibility is key on expedition voyages. To take advantage of wildlife opportunities the guides use zodiacs for both landings and cruises. S/V ‘Rembrandt Van Rijn' was built as a herring lugger early last century. 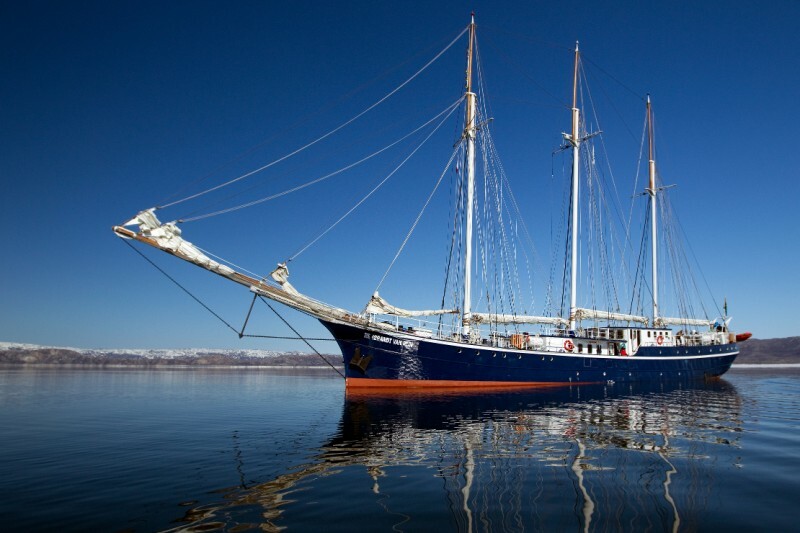 The vessel was rebuilt as a three-mast passenger sailing schooner in he Netherlands in 1994 and sailed in Spitsbergen (1994 - 1996) and in Galápagos (1998 - 2001). The vessel underwent a complete rebuilding and refurbishment program until 2011. The communication and navigation equipment has been completely renewed according to the latest SOLAS regulations. The Rembrandt van Rijn measures 56 meters in length (168 ft.), 7 meters in width and has a draft of 2,5 meters. The maximum speed on engines is 9 knots. 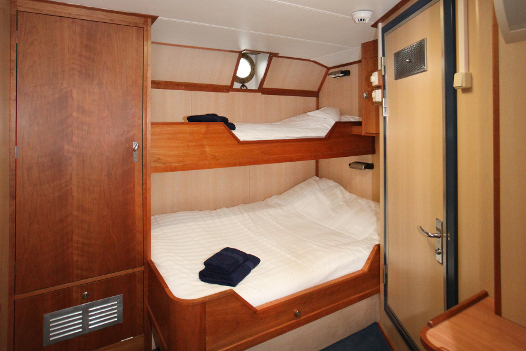 It has an experienced crew of 7 persons on board including 2 tour guides. 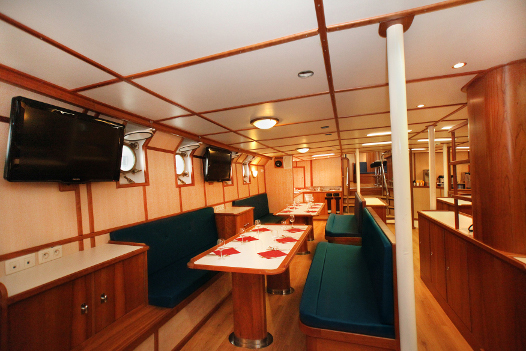 The ship is well suited for expedition cruising among small islands and offer good open deck viewing areas, also when under sail. The 2 inflatable rubber crafts (zodiacs) enable landing and wildlife viewing opportunities in otherwise inaccessible areas. 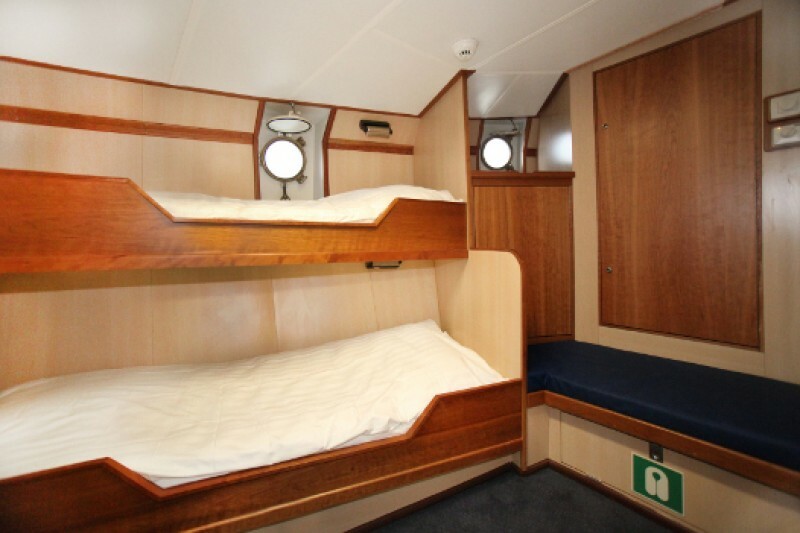 The s/v Rembrandt van Rijn has no ice class. 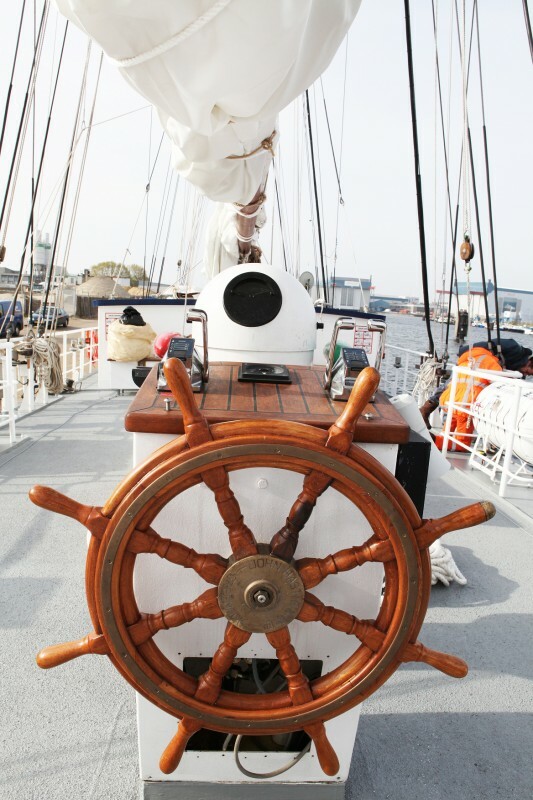 During her refit, the bow of the vessel was enforced and is therefore suitable to sail in the Greenlandic waters. 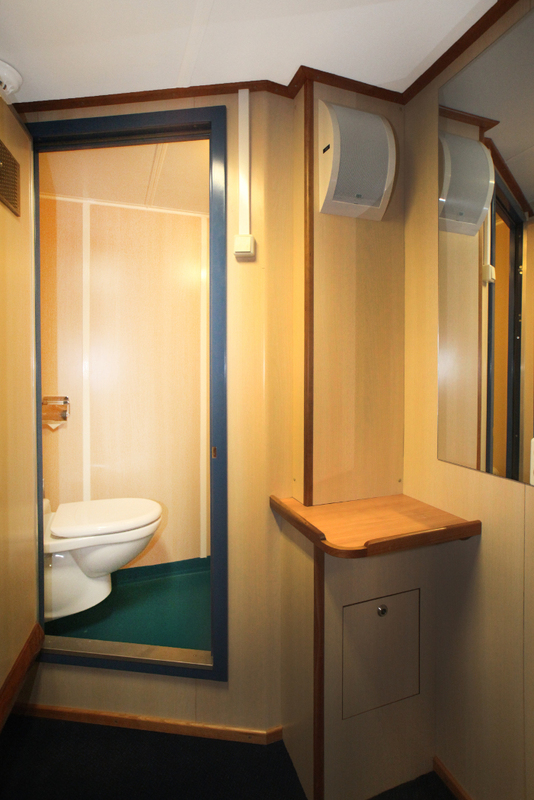 Main deck, upper and lower berths, shared bath facilities and porthole. 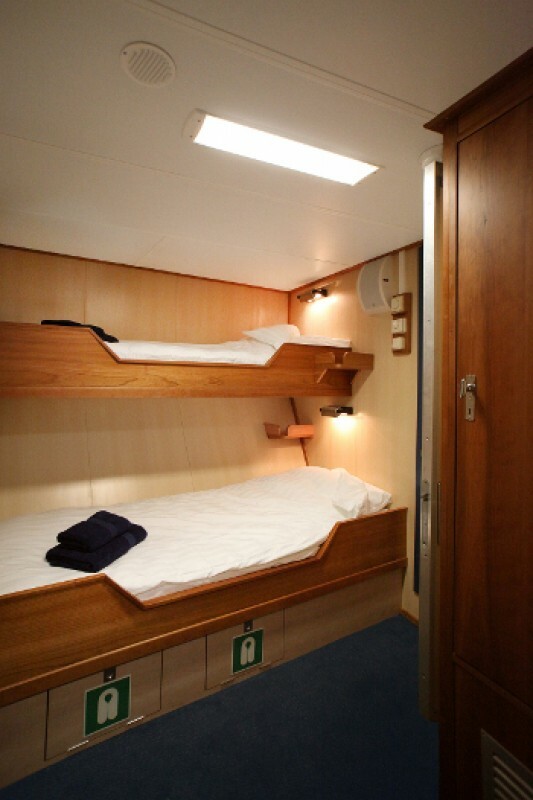 Lower deck, upper and lower berths, inside cabins with private bath facilities. 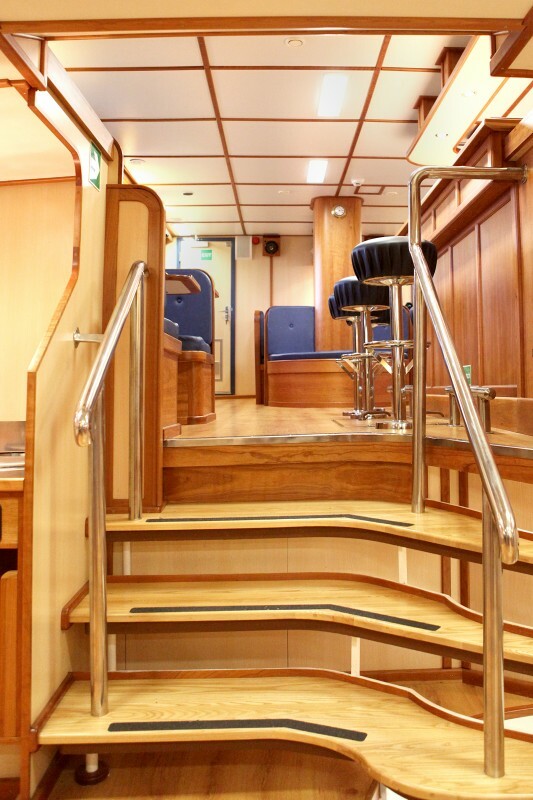 Lower deck, upper and lower berths or two lower berths, private bath facilities and porthole. 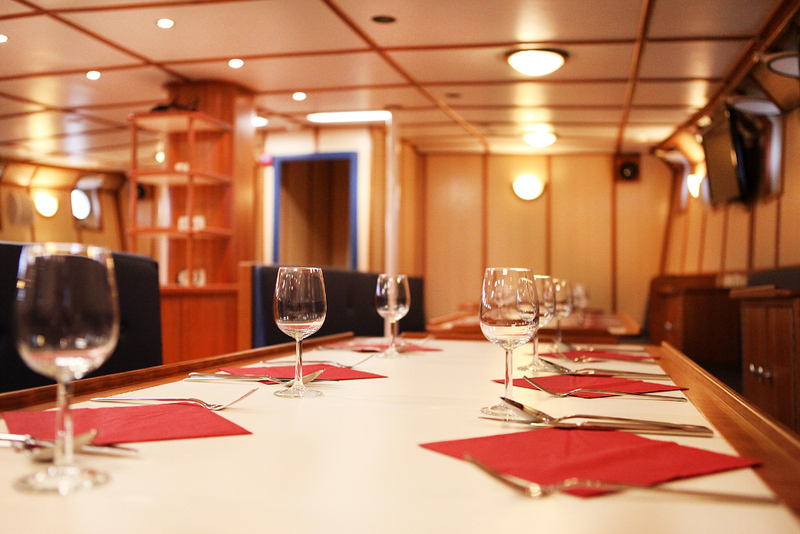 A spacious restaurant on board the vessel allows all passengers to have their meals (buffet style). 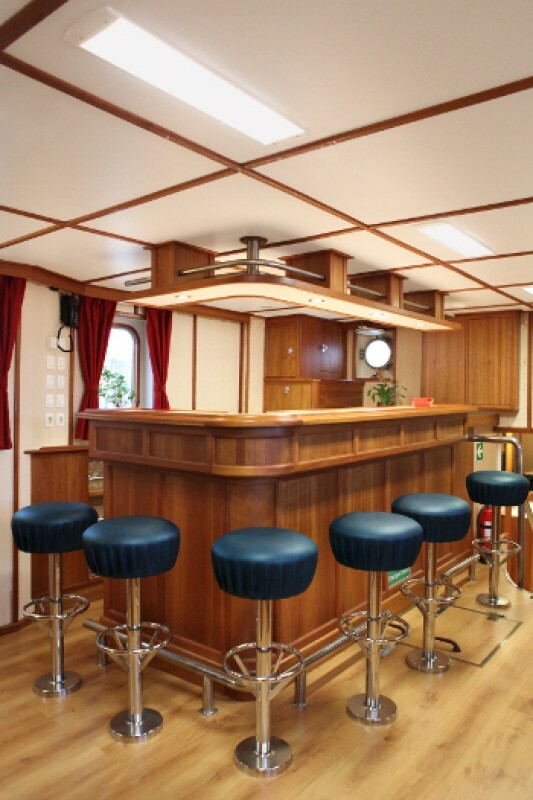 The vessel also has a separate bar and reading area.